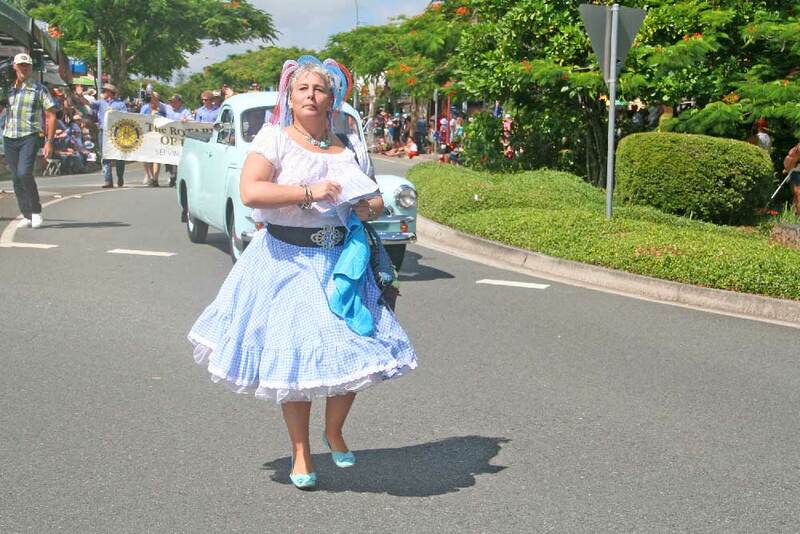 8:30 Gubbi Gubbi Dancers “Welcome to Country” Display and Flag raising ceremony at “The Old Post Office” in Burnett Street. 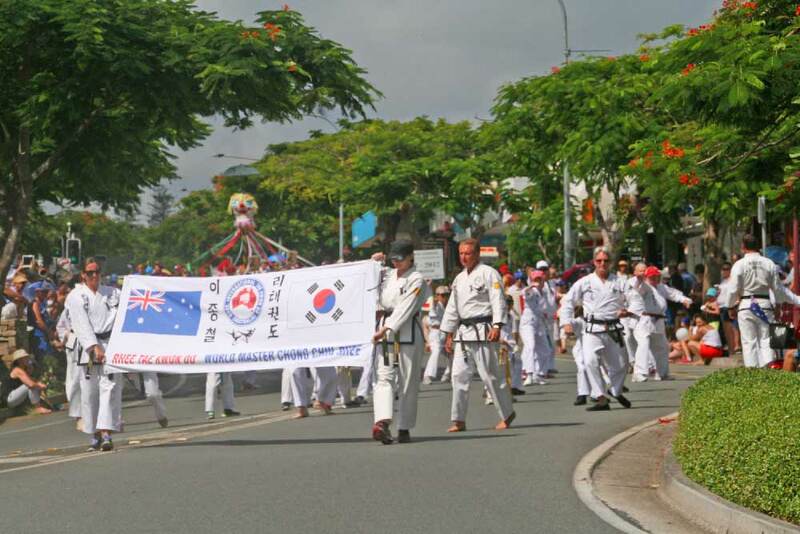 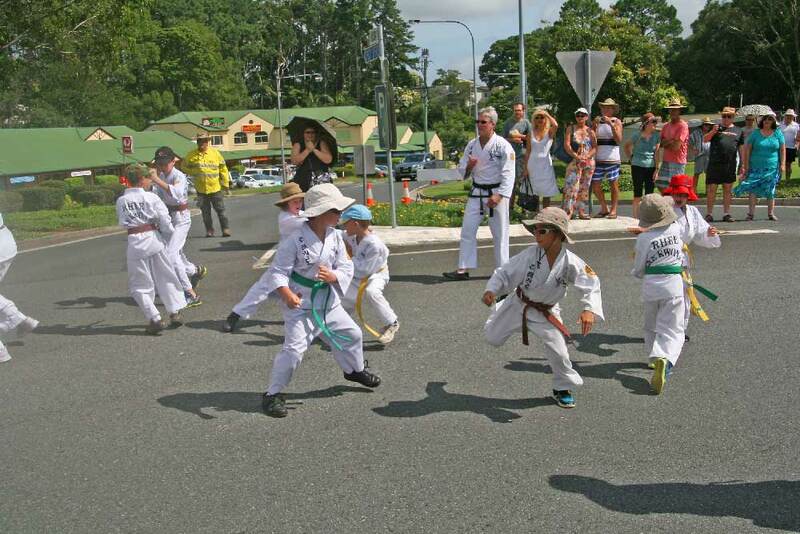 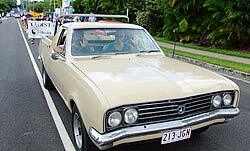 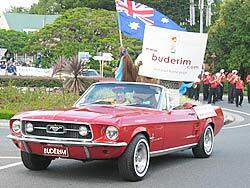 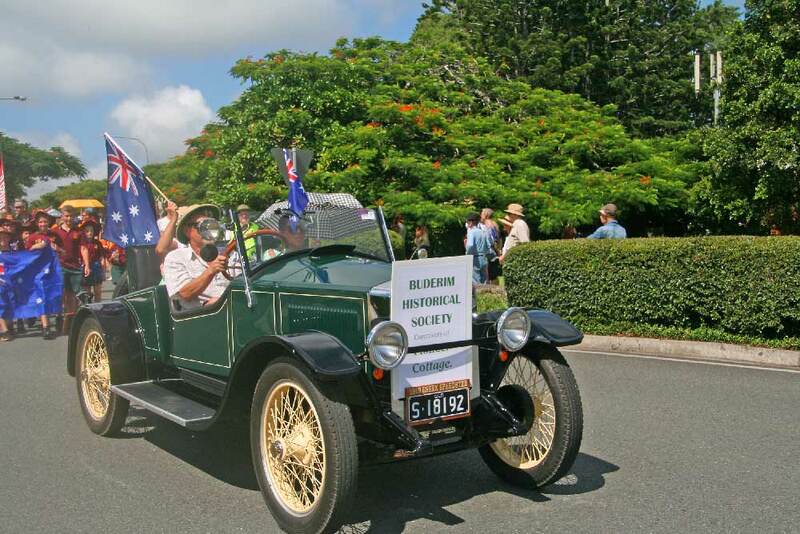 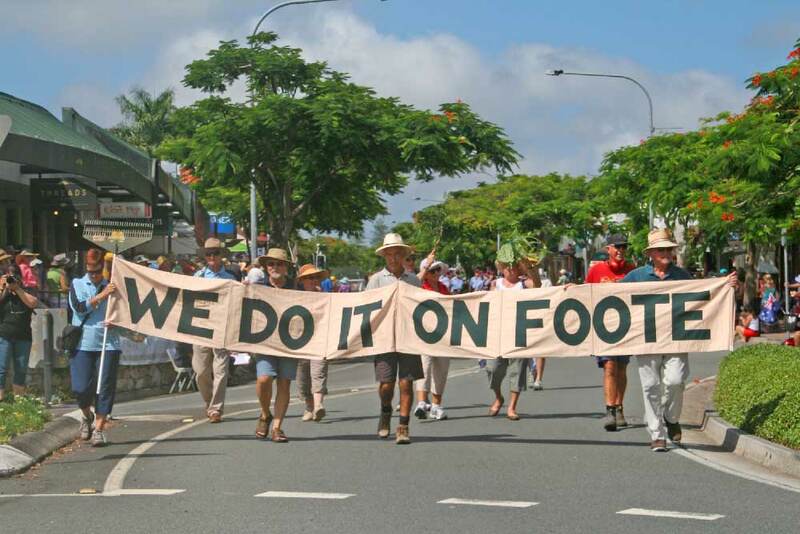 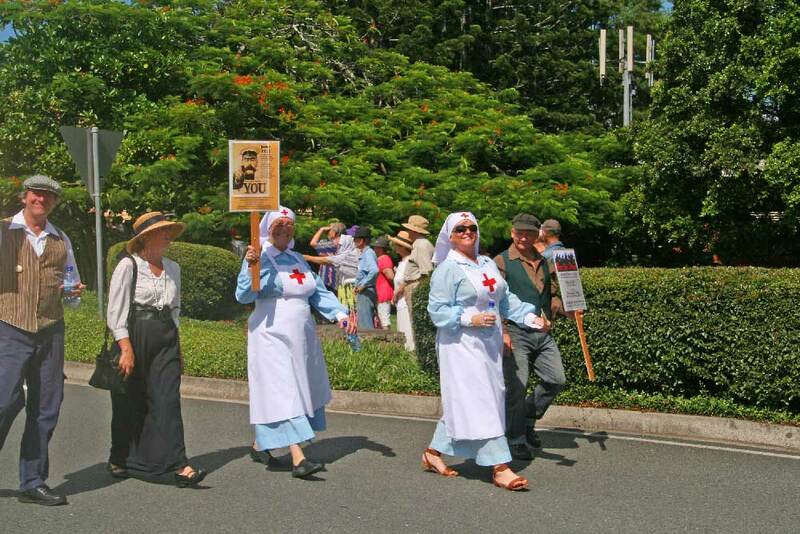 9am GRAND BUDERIM AUSTRALIA DAY PARADE down Burnett Street ending at Buderim Mountain School oval. 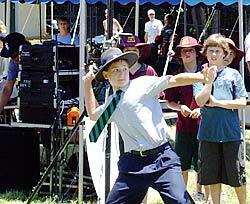 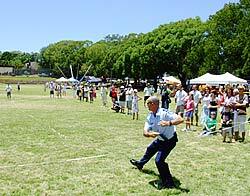 9:30-11am Check out the old school games in the School Oval! 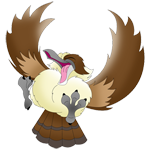 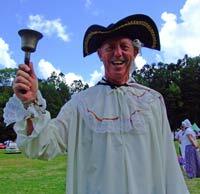 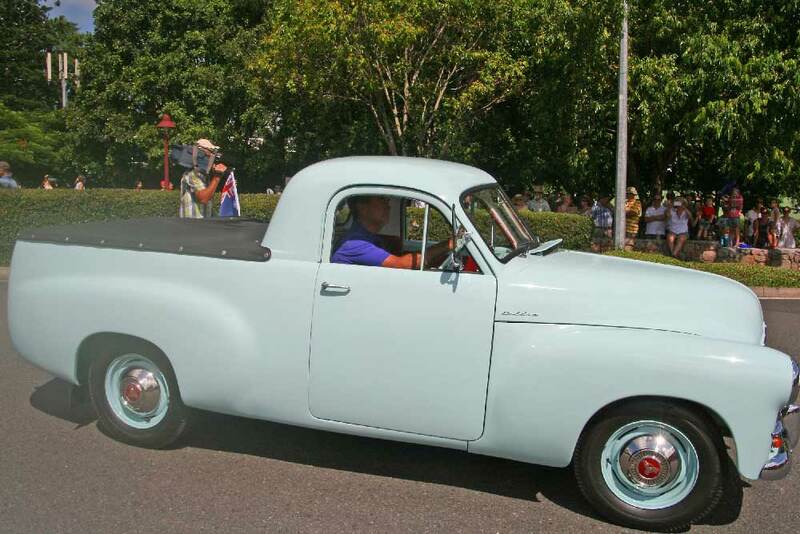 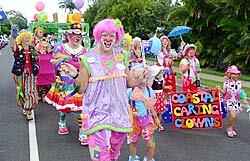 Plus bands and cars and clowns – it will be a hoot!. . 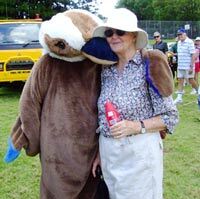 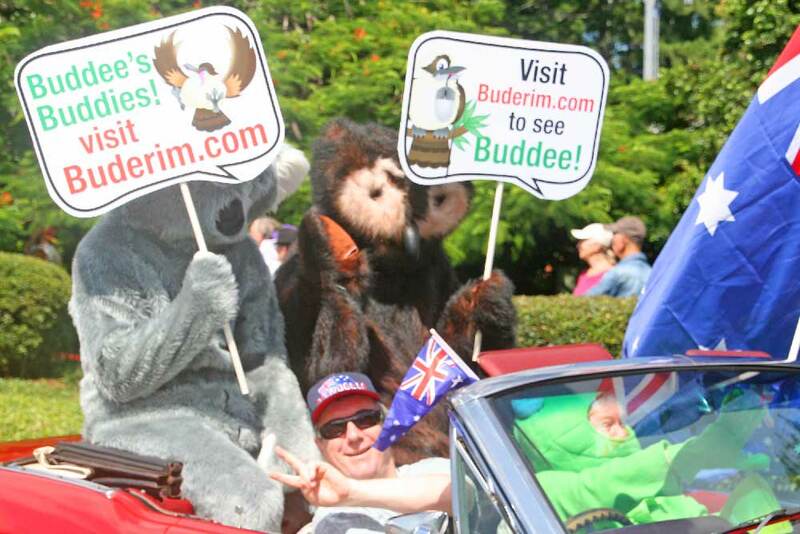 If the weather holds off, it will be a bonzer day for everyone, so whack on the zinc cream and see your mates on Buderim Mountain this Australia Day! 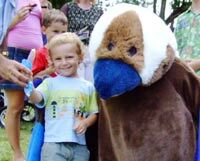 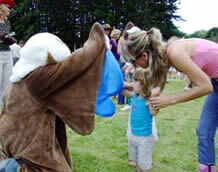 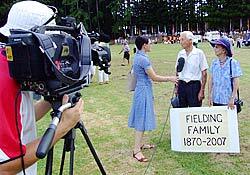 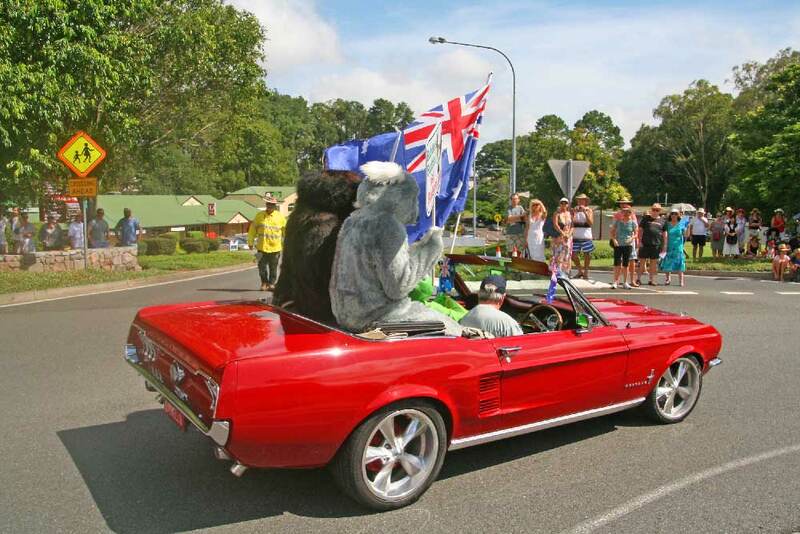 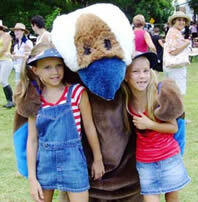 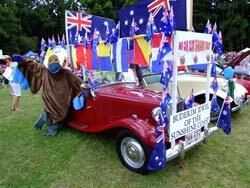 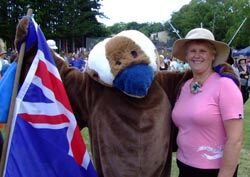 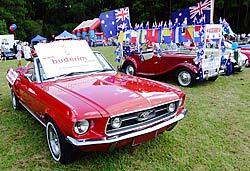 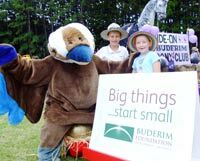 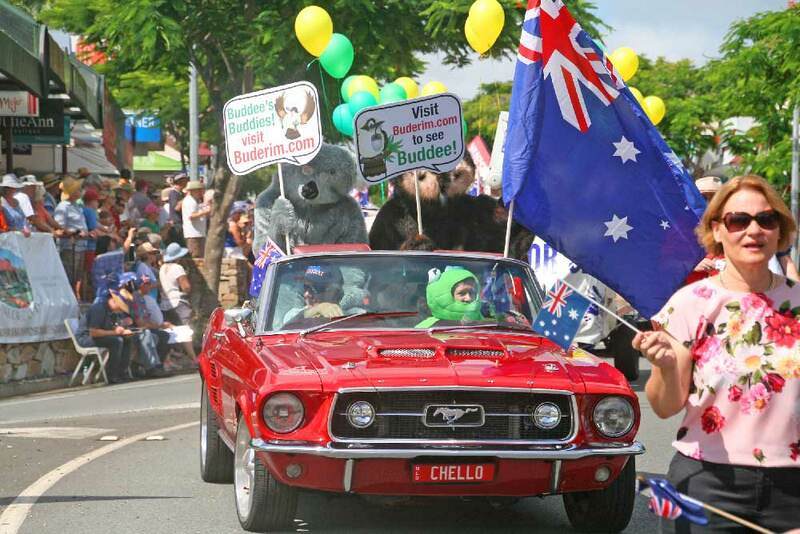 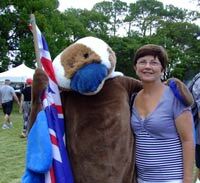 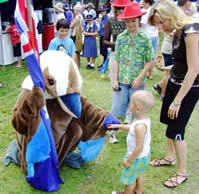 Australia Day is a great event, when the Buderim Aussie Spirit shines! 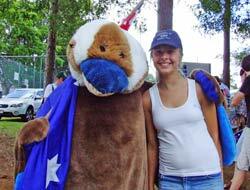 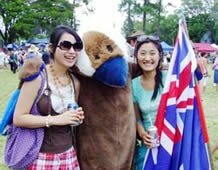 Activities vary from year to year, but you can guarantee you’ll have a great Aussie time! 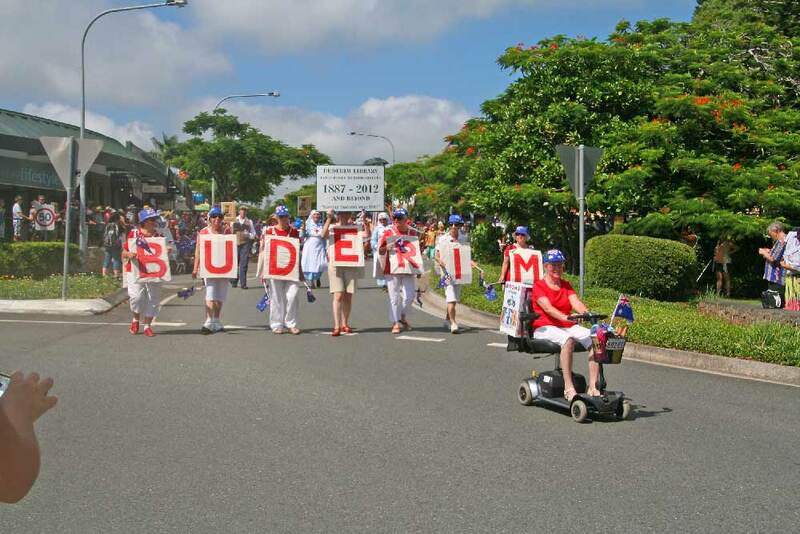 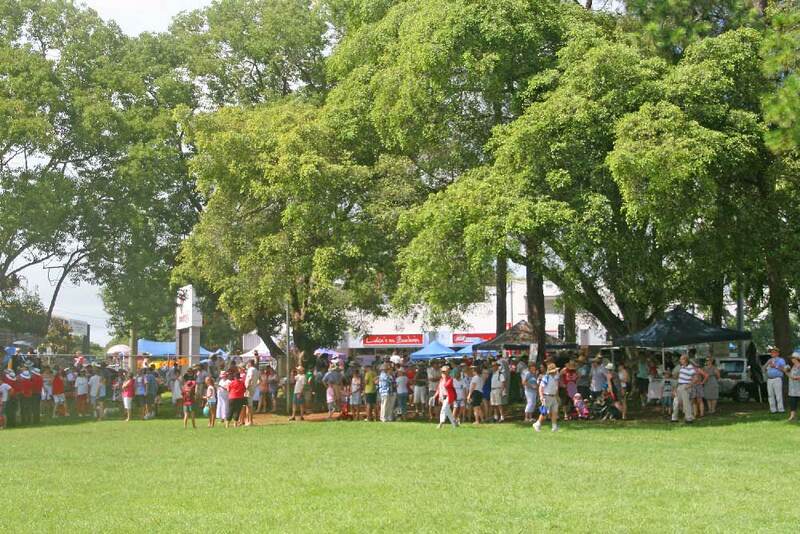 The Australia Day celebrations in Buderim pull in crowds from across the Sunshine Coast! 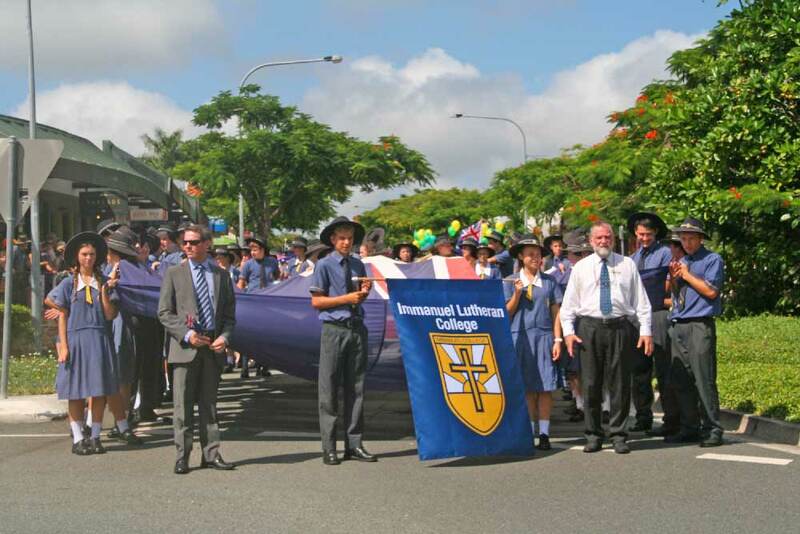 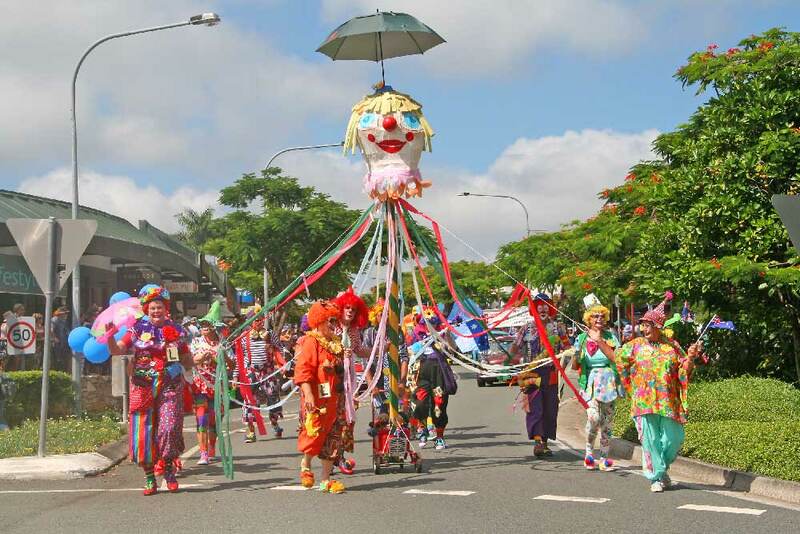 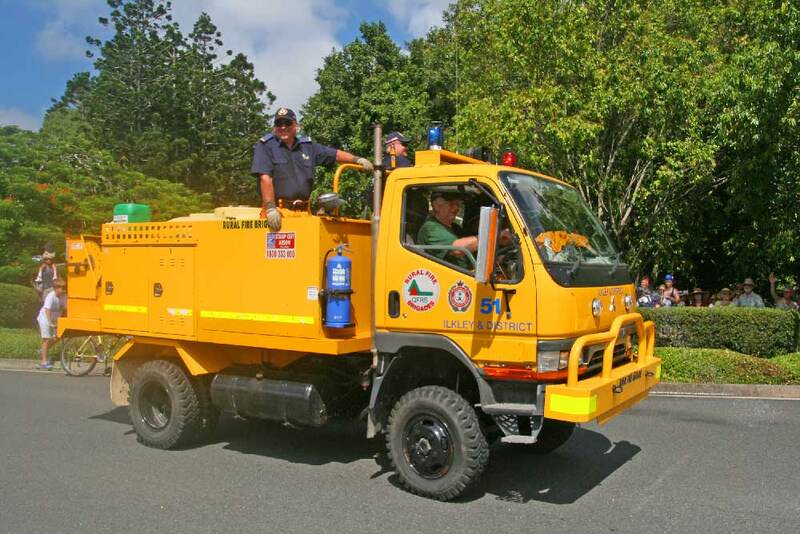 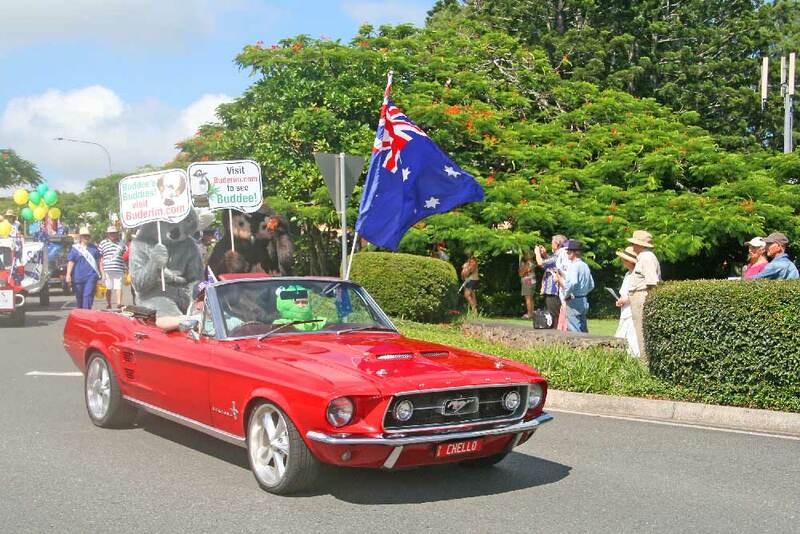 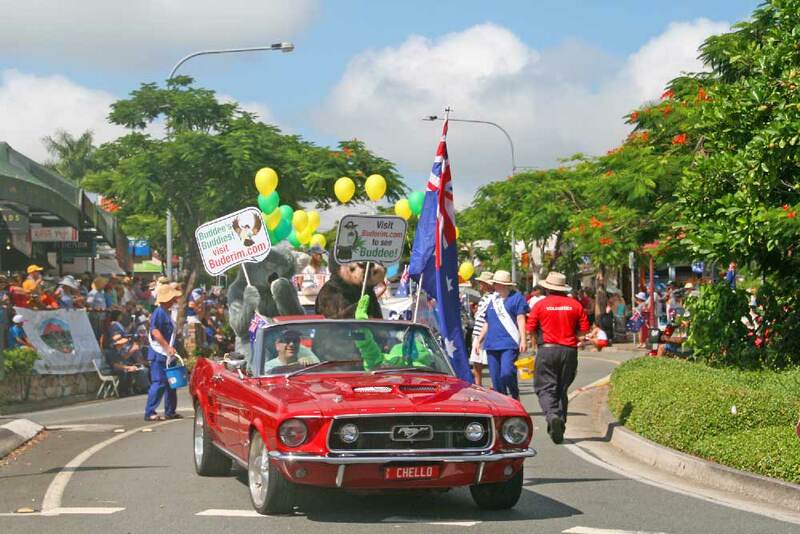 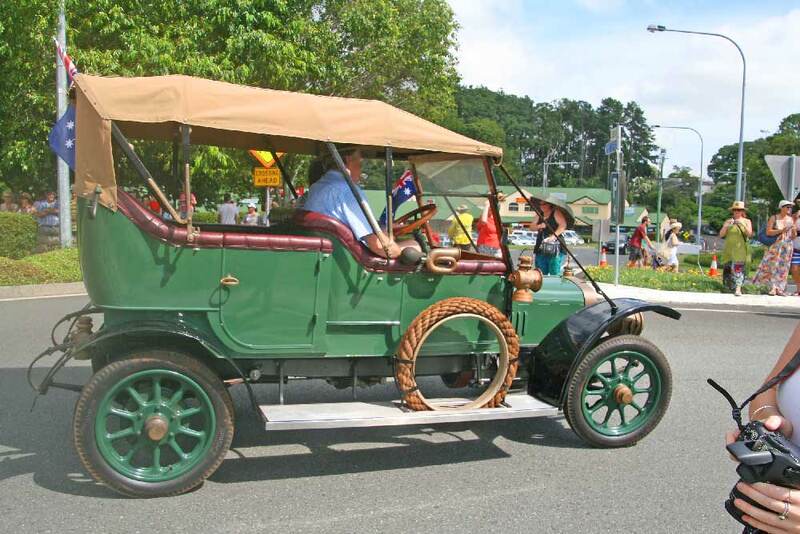 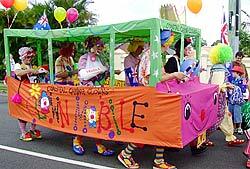 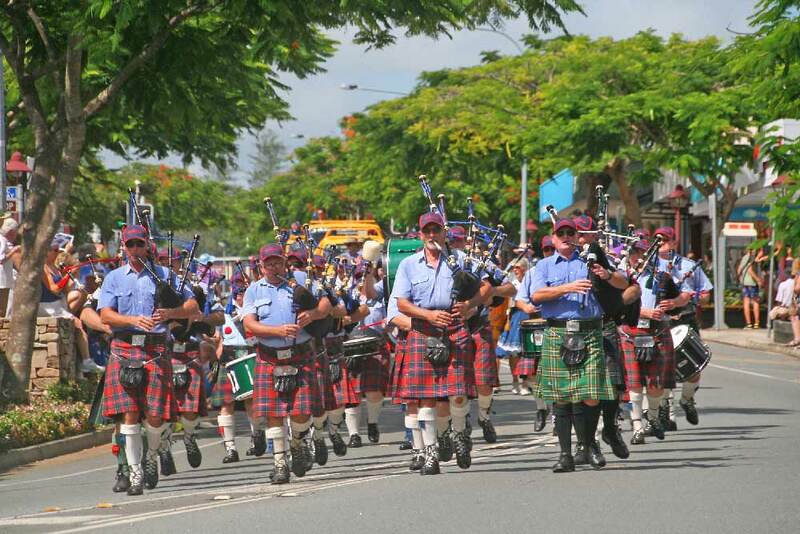 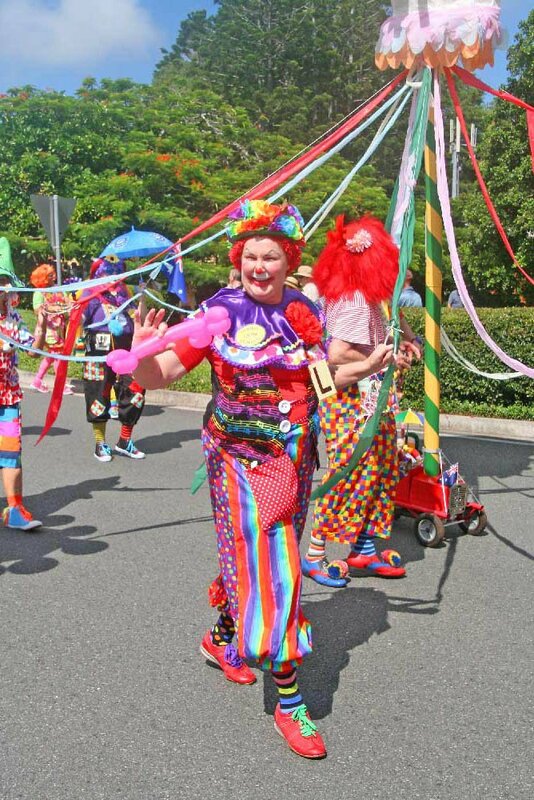 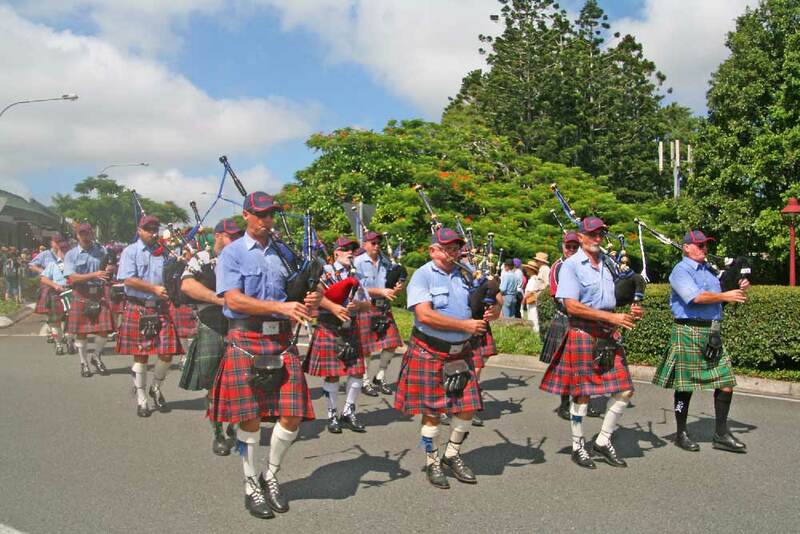 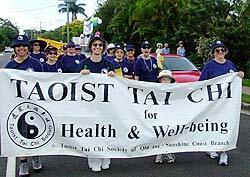 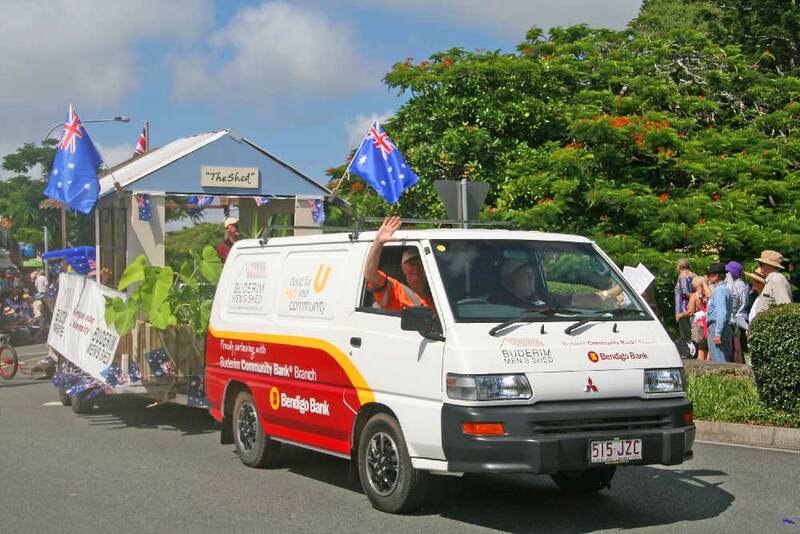 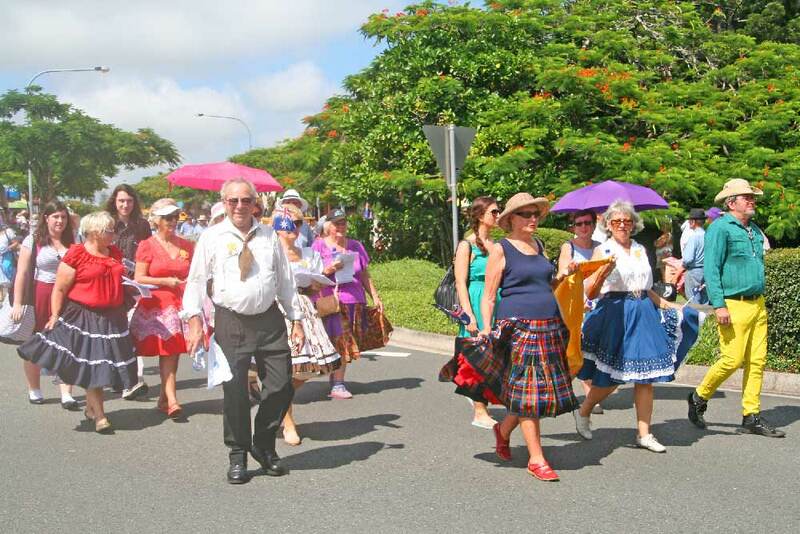 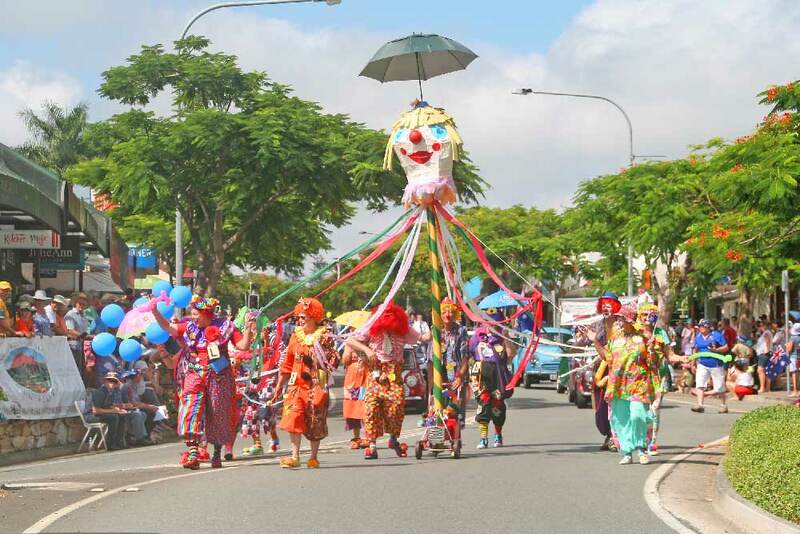 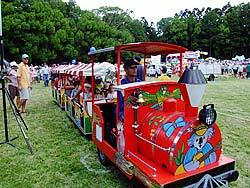 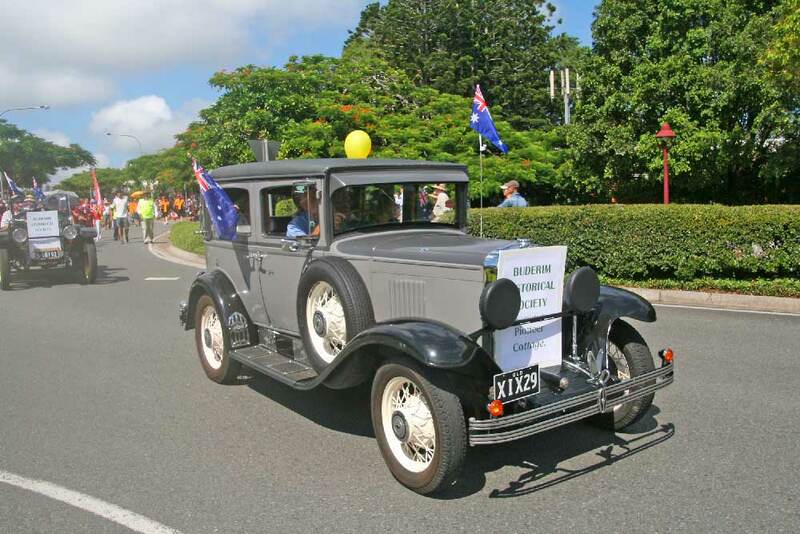 The Grand Parade is the highlight attraction, where local clubs and organisations (including the Buderim Web Team) walk and ride in floats down Burnett Street from Woolworths to the roundabout. 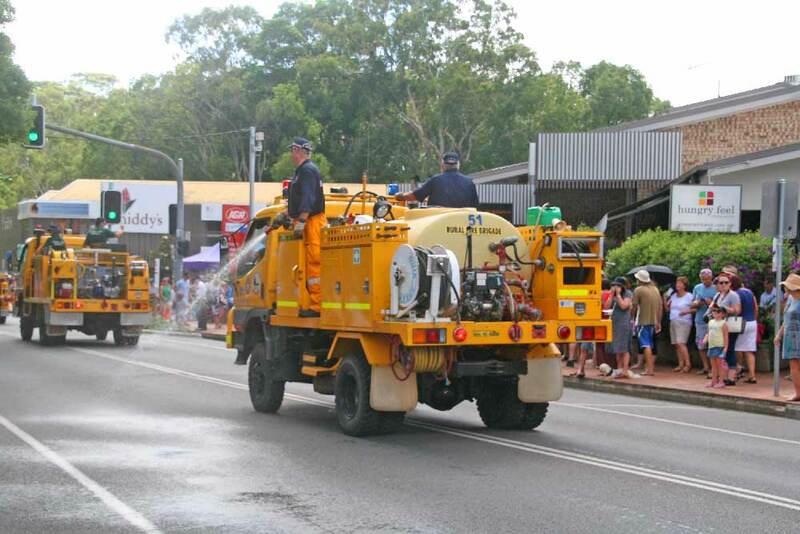 The whole day is run by volunteers from the BWMCA in conjunction with Rotary and Buderim Lions.